Before being hunted to extinction the Eskimo Curlew migrated in the millions from arctic breeding grounds to the pampas of Argentina. In fall, birds staged on the heathlands of Labrador and the maritimes to gorge on berries before making a trans Atlantic flight to South America. 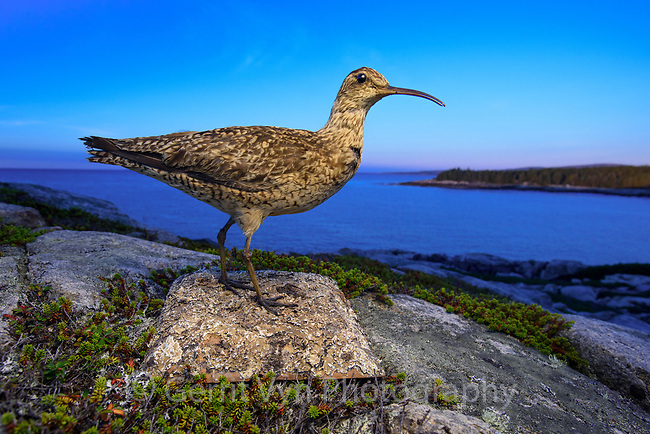 At one time, the Eskimo curlew may have been one of the most numerous shorebirds in North America, with a population in the millions. As many as 2 million birds per year were killed near the end of the nineteenth century.